Mothers who have good support, tools to use during birth, are well informed, confident and prepared, are less likely to experience complications during their birth. If special circumstances do arise, hypnobirthing parents are prepared for whatever turn their birthing may take and remain calm throughout. More and more obstetricians and midwives throughout Australia are recommending hypnobirthing classes to mothers-to-be. Parents often ask whether their obstetrician or hospital midwives are likely to be supportive of hypnobirthing techniques. We tell them that the majority of caregivers love hypnobirthing, because it makes the whole birth easier for them too! Who wouldn’t want to attend a birth where the mum is calm and relaxed throughout, soft music playing, perhaps some essential oils wafting from the oil burner and the lights dimmed? The atmosphere for a hypnobirth is calm and relaxed. It is a pleasure to be part of such a positive and calm birth. More and more care providers are becoming aware of the benefits of hypnobirthing. If your caregiver is not knowledgeable about hypnobirthing, take the opportunity early in your pregnancy to discuss the techniques you will be using and the type of calm birthing environment that you desire. In class, you will learn how to create a plan of Birth Preferences, which will help you to communicate your birthing goals and preferences to your doctor or midwife. You are also provided with a handout which has been specifically designed for your caregivers; a summary in how they can assist you to with your hypnobirthing experience. 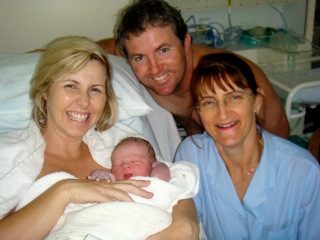 An obstetrician on the Gold Coast recently remarked that he loved supporting Hypnobirthing Australia mums and birth partners, because it was less work for him (said with a smile)!